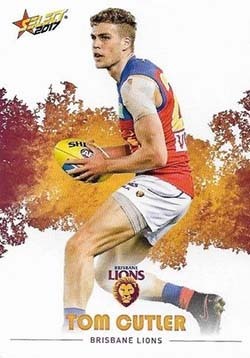 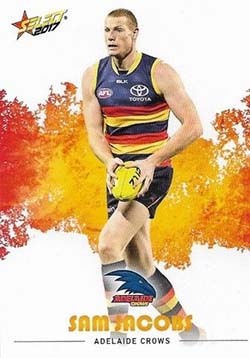 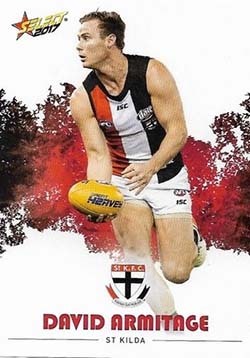 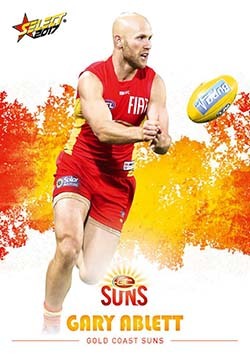 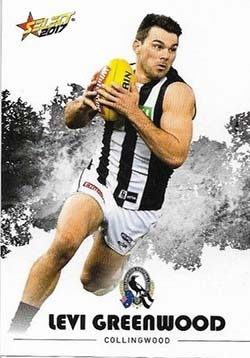 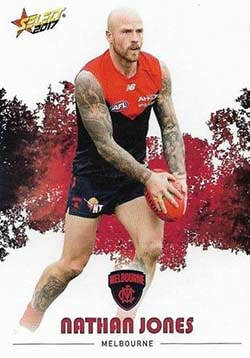 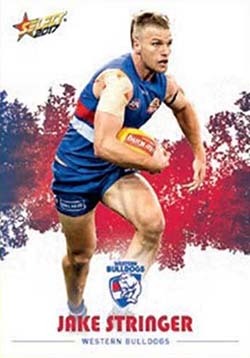 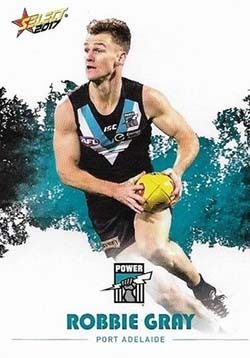 A simple design with the player photograph on the white background with a paintbrush effect in team colours in the background. 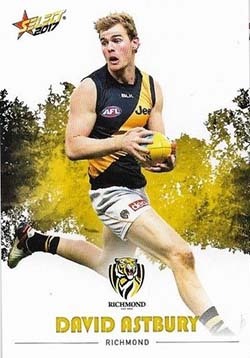 I quite like the text font and simplicity of design in these cards. 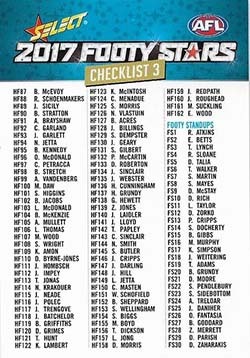 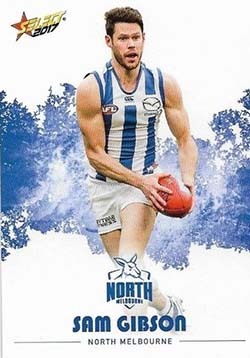 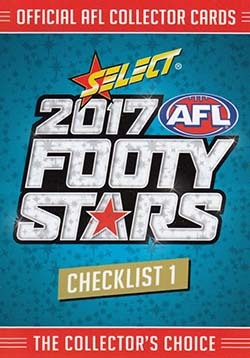 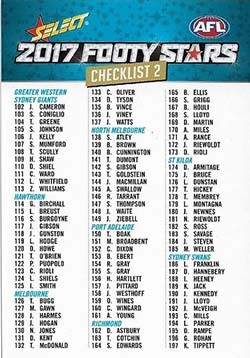 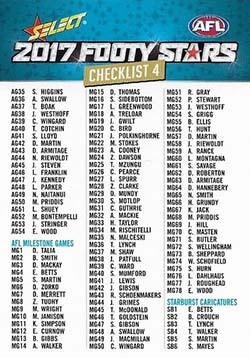 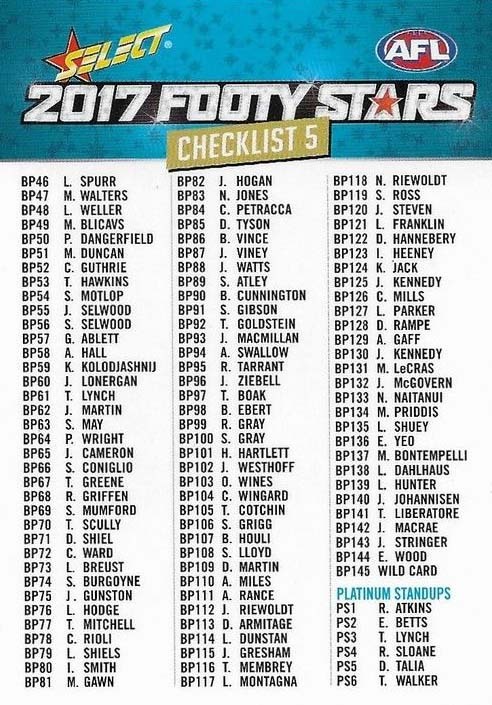 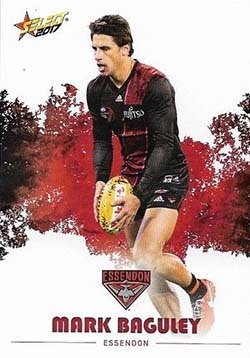 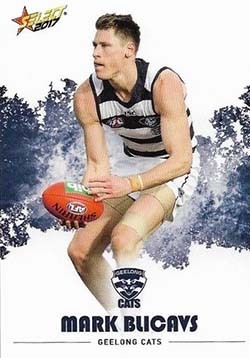 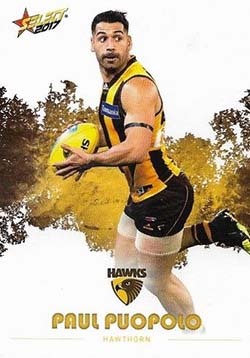 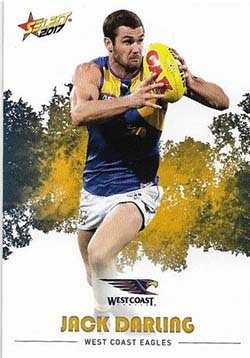 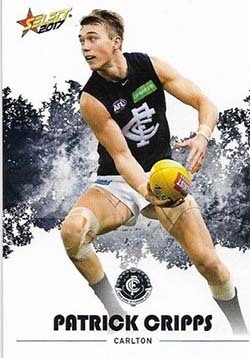 The 221 card collection includes 12 players from each of the 18 AFL clubs plus 5 checklist cards. 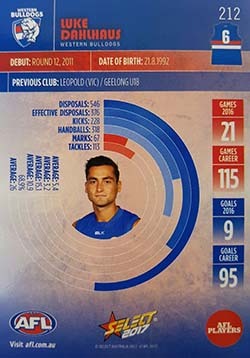 The back of the cards are packed with stats and information for the player in an interesting graphic design.